T.GOLD, considered the main reference Hub for its sector, is the international show dedicated to the most innovative machinery and technologies applied to gold, colored gemstones and jewels. From January 19th to January 24th 2018, during VICENZAORO, T.GOLD is the Show entirely dedicated to the trade visitors: a key event for those working in the production of jewellery and a moment of constructive debate over the future of the sector. The 2018 edition will open with interesting figures, thanks to initiatives aimed at commercial and infrastructural development. Here’s some of these figures: over 20% growth in the number of exhibitors, thanks also to the addition of names such as Durston (UK) Hemerle+Meule (DE). In total, there will be over 160 companies showcasing their products coming from 16 different countries, such as Italy, Germany, United States. These are all countries representing the best and most developed technologies. Confirmed is also the growth of the 3D printing sector. 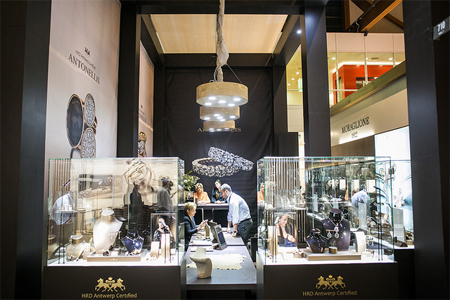 VICENZAORO - THE JEWELLERY BOUTIQUE SHOW is the largest European Show dedicated to the gold and jewellery sectors, a true Business Hub able to foster the meeting among the most authoritative personalities of the gold and jewellery world. It is an international platform representing the main access to European, Russian and Middle Eastern markets. The ideal Show to promote business transactions and relations. 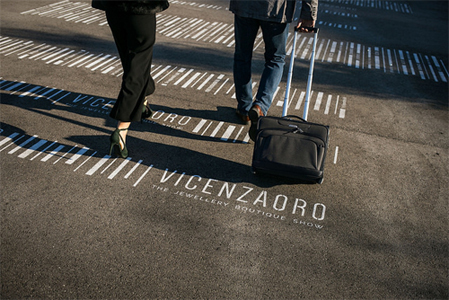 With various events throughout the year, VICENZAORO is the reference point for the sector and is the place where new trends, styles and designs come to life. Over 4,500 companies work with the VICENZAORO System, 35% of which is foreign. Over 96,000 visitors come from over 130 countries along with the key presence of the 3,800 top buyers, all hosted thanks to the collaboration with the Ministry of Economic (MISE) and the Italian Trade Agency (ICE). VICENZAORO - THE JEWELLERY BOUTIQUE SHOW hosts 5 Shows globally and participates to 10 among the most prestigious events internationally. In 2018, key events will be in Vicenza, Hong Kong, Arezzo, Las Vegas, Dubai, Mumbai.